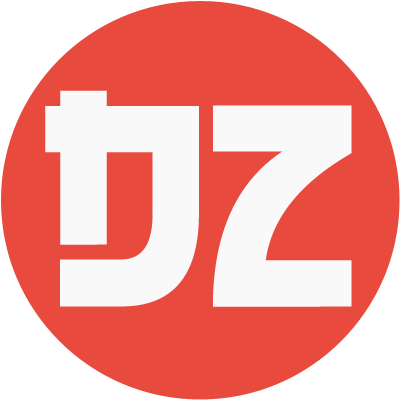 Top 10 Most Representative Manga of the Heisei Era – Desuzone '+g+"
The Heisei era is likely to end on 30 April 2019 (Heisei 31), the date which Emperor Akihito is expected to abdicate the Chrysanthemum Throne. This era is popularly associated with "The Lost Decades", the years of economic stagnation following the rapid growth attained during the height of the Showa era. 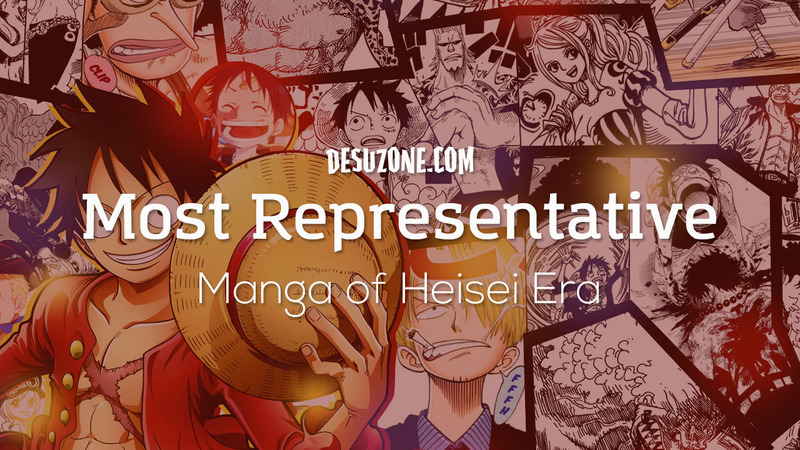 To welcoming the end of the Heisei era, Japanese e-book vendor Book Live conducted a poll about "what is the most representative manga of the Heisei era", based on the manga that had ever existed in Japan. No fewer than 5653 users who had purchased at least one manga from Book Live! within the last year voted in the poll, which carried out from November 16 to 18. Vote Your Best TV Anime of The Winter 2019 Season! 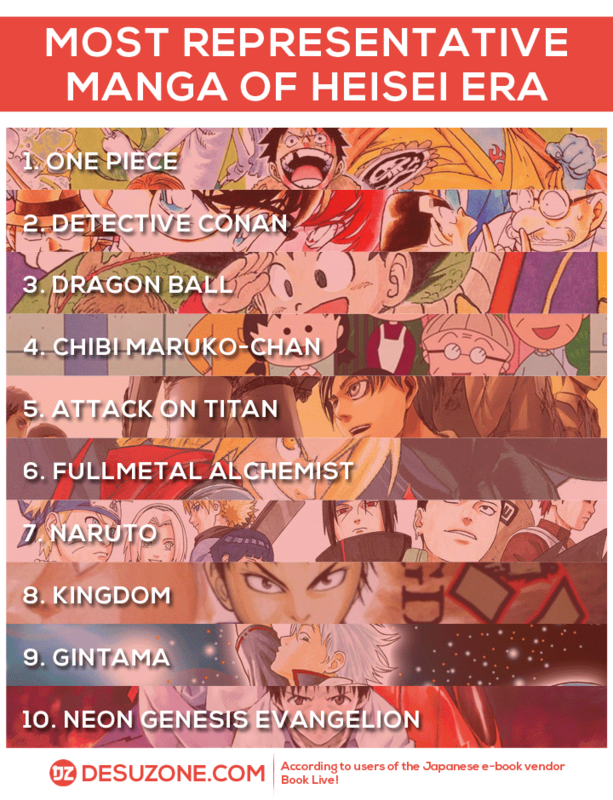 As the result, 10 manga titles that were considered as the most representative manga of the Heisei era selected. Interestingly, not all the titles were actually published in the Heisei era, but there are also manga that has been published since the Showa era (1926 - 1989), but their popularity and influence is still quite large, even till today. As expected, One Piece is the winner. Even, the users who voted for One Piece left comments such as "Even people who don't know this manga know this title. One Piece drawn by Eiichiro Oda and start it's serialization in 1997. So far, the series has over 90 volumes and 320 million copies in print.